It was held on Saturday, 30th April 2016 at Hall of Syafana Islamic School Graha Raya. It started at 08.00 am, opened by MC and tahfidz performance by K1 Students. The purpose of this event is to thighten the relationship between parents-teachers of syafana Islamic school graham and the societies around the school. In addition, the purposes of this event are for creating care and love between and among human being, for helping the government to increase health and nutrition and also blood supply to the society in need. There were many people who came and joined this event. There were many grandfathers, grandmothers, kids, and sick people who received the charity. 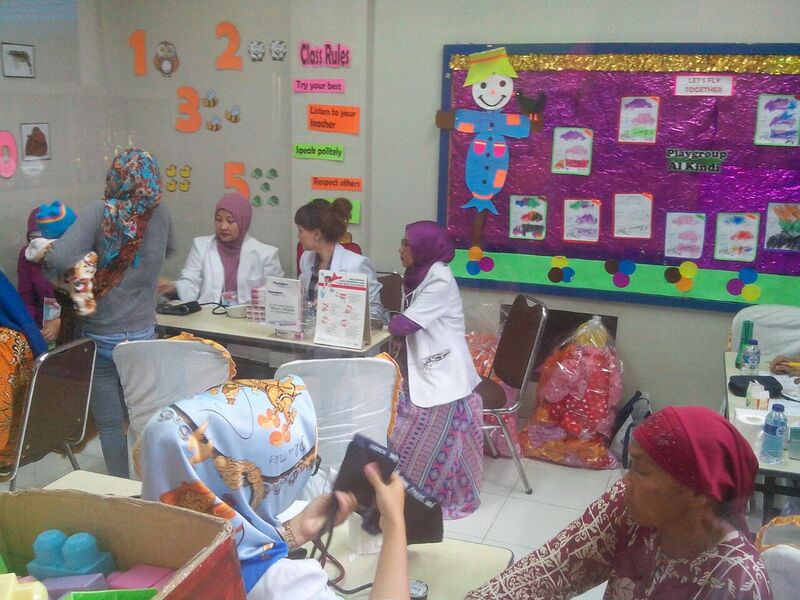 They got free medical check-up from 2 doctors who were came from Puskesmas Paku Alam, 2 doctors and 2 dentists from parents. They could check their health and their teeth. After that they received some medicines from the doctors. 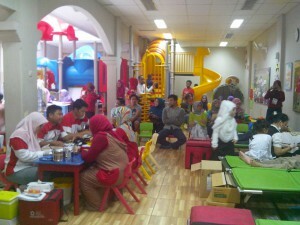 After finishing check up, they also got free groceries from the donations of parents’ Syafana Islamic School. There were more than 500 packages of groceries that have been distributed to them. Moreover, in this event there were blood donations in collaboration with Indonesian Rd Cross (PMI) Tangerang City. There were 9 staffs of PMI came. More than 90 people came and joined to donate their blood. 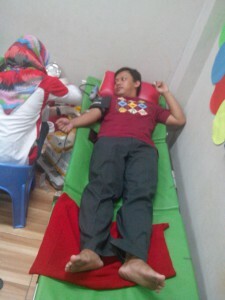 Alhamdulillah PMI got 50 blood bags from this event. PTA was given a beautiful towel as the souvenir and snack box for the one who was succeed to donate her blood. They also got noodle and milk from PMI. Alhamdulillah All people who came were very happy. Parents and teachers were doing a good team and collaboration. We thanked to Allah for His Blessing in this event.